Ask about our professional inside delivery and setup in the Northeast Region and beyond ! Loading: Lid position, when open, rests at an angle away from the kiln. Chains are used to secure the lid in place when open. Hinge: The hinge is not spring-loaded. Stand: Heavy-duty 14 gauge full solid stand with multiple bends for strength. Bolt on legs. Feet protectors included. to assemble. Bottom is reversible. Insulation: 2-1/2” or 3” K23 firebrick. 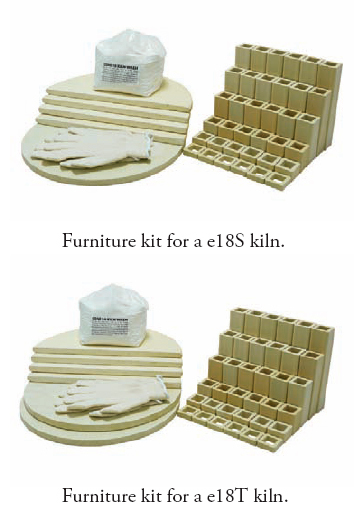 For an option with a slightly thinner firebrick insulation option, check out the L&L 18S Easy Fire kiln. control panel and element box are hinged for easy access and maintenance. Control box can be easily removed for servicing. On/off switch and control use are included. Power Cord/Plug: 50 Amp NEMA 6-50 six foot cord included for one phase, 50 Amp NEMA 15-50 six foot cord included for three phase. Warranty: Limited 3 year warranty. 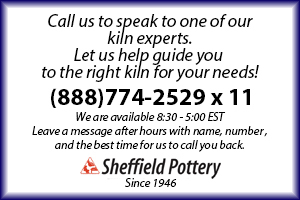 (See hotkilns.com/warranty.pdf ). UL Listing: c-MET-us listed to UL499 standards.